Jordan Di Corpo, Marianne Veilleux, Kaileigh Hamilton-Browne, Marie-Laurence Laroche and René Gendreau. 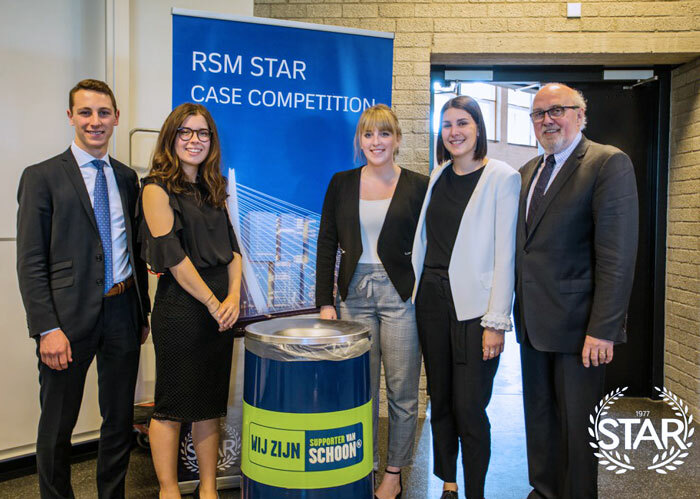 The HEC Montréal BBA student delegation took 2nd place in the 10-hour case at the RSM Star Case Competition, one of two parts of the event held in Rotterdam from April 15 to 22. Twelve university teams, from all over the world took part in this year’s competition. The team of Jordan Di Corpo, Kaileigh Hamilton-Browne, Marie-Laurence Laroche and Marianne Veilleux, coached by Professor René Gendreau, had 10 hours to prepare and present a solution aimed at minimizing litter in the Netherlands to NederlandSchoon, a Dutch NGO. The School’s students came up with a three-pronged strategy to digitize the company’s activities using an app, to help get their message across and encourage people to pitch in and keep the environment litter-free.